There seems to be lots of discussion regarding various clutch options in the forum. I will attempt to sum up (and maintain) what I have gathered through my research through many discussions. A question which still appears to be unanswered is, what is the bottleneck/weakpoint(s) in our transmission? the blame at the disc. The other part of the equation is the pressure plate. There are several kits in various combinations that will help solve this problem. My clutch is slipping, can I continue to drive on it? Yes. It slips in higher gears at WOT. Maybe it slips in 3rd in the colder weather. You can either switch back to the stock tune or ease up on the throttle. Whichever you decide, its drivable. Depends on how you drive on it. If you're pushing it where its slipping all the time, I don't think it would last all that long. There is no exact answer to this question. If it only slips on WOT on high gears, I think its safe to say that you shouldn't have too many issues in daily driving. Get on the highway, shift into 6th (doing about 50mph) and go WOT. If you see your RPM's jump, it's likely clutch slip. That being said, this is just for a test. You should NOT be driving like this normally. Which stage tune or hardware mods will cause my car to slip? There is no proof showing what will cause slipping. I want to say most users report clutch slip once they go stage 2. Although, its not uncommon for someone with a stage 1 tune to have clutch slip. This also greatly depends on the way you drive the car. Keep in mind the install for all options is the same. So if your shop tells you its going to cost you $5-600 to install a kit, the same price will apply for just the disc. There have been a good amount of folks on the board who have gone with a disc replacement from South Bend (drop in disc only). Allset has been using his for 30k+ miles (and is K04) with no issues. This alone leads me to believe that a stickier disc material will solve the problem. That makes me ask, what about the pressure plate? Will it eventually go? If I replace just the pressure plate, would that solve the problem (not something I'd do, just curious)? The South Bend Stage 3 Drop In Disc goes for about $380. Pros: Reusing OEM DMFW and pressure plate should retain OEM pedal feel and similar engagement feel (whilst grabier). The engagement point should be the same. Cheaper than full kit & partial disc & pp kit. Cons: Will still have SOME chatter because the clutch disc will not have springs in the hub (with this specific setup). As to how much/little, thats relative, and I have no first hand experience. 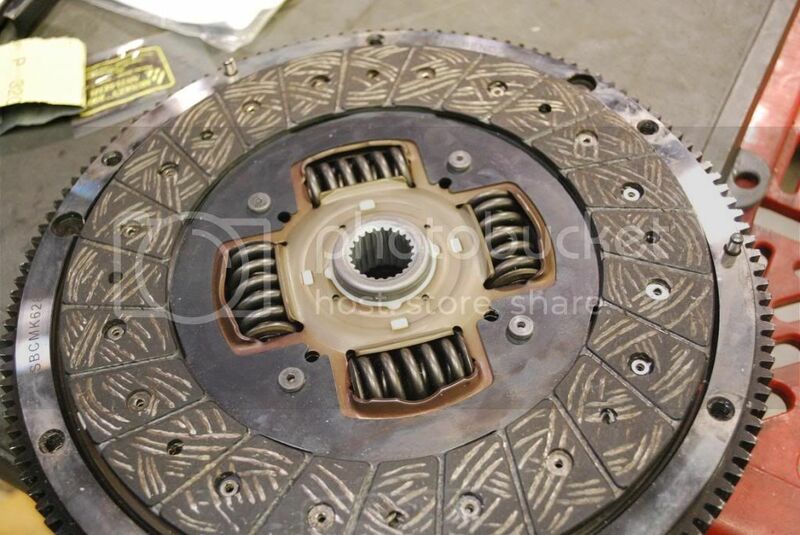 Long term reviews/data of this clutch are almost non-existant. I'm not sure if the pressure plate will eventually give in this setup (and/or flywheel). Ok I just talked to Andy the owner of South Bend on the phone. He says if the same pressure plate is being used it does need to be reset and also need to make sure the friction surface on the pressure plate does not have any high spots or burn spots. He said that their drop in disk is really meant to be used with a brand new stock pressure plate. Clutchmaster's (CM) replacement disc & pressure plate. It is more expensive than South Bend's (SB) disc only option; but it also comes with an aftermarket pressure plate (retaining the stock dual mass flywheel (DMFW)). This setup goes for about $800. Pros: Reusing OEM DMFW should retain a somewhat OEM feel on engagement (and sound). Cheaper than full kit. Assuming the clutch disc and pressure plate are the weakpoints, you've just replaced the problem parts and retain an OEM-like setup. 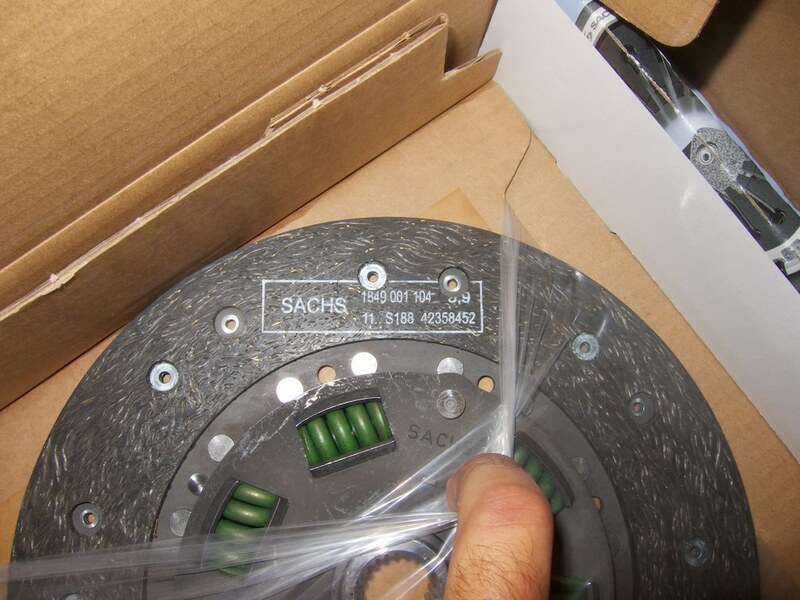 Cons: Will still have SOME chatter because the clutch disc will not have springs in the hub (with this specific setup). As to how much/little, thats relative, and I have no first hand experience. Similar to the Clutchmasters kit mentioned above, this retains the stock dual mass flywheel (DMFW)). I belive it is constructed of mostly all OEM components--pieced together from various platforms. 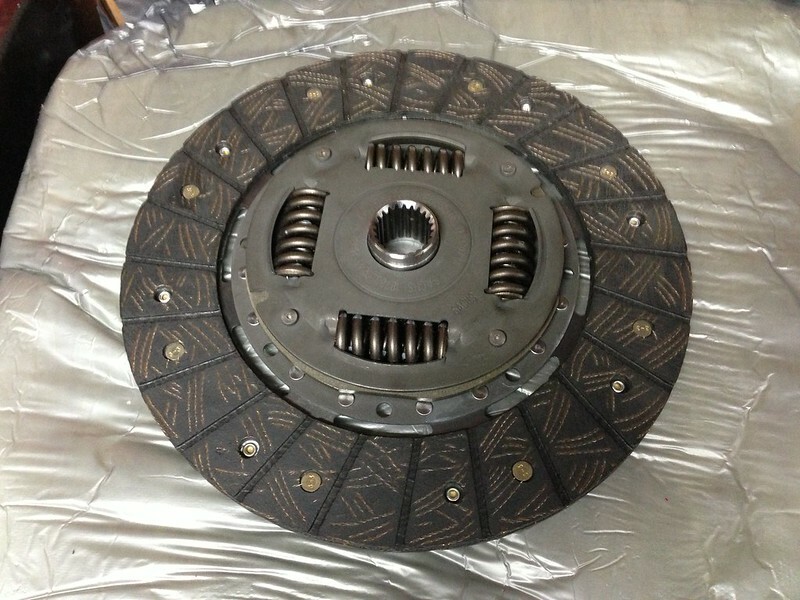 It is essentially a stronger pressure plate with an organic clutch disc. 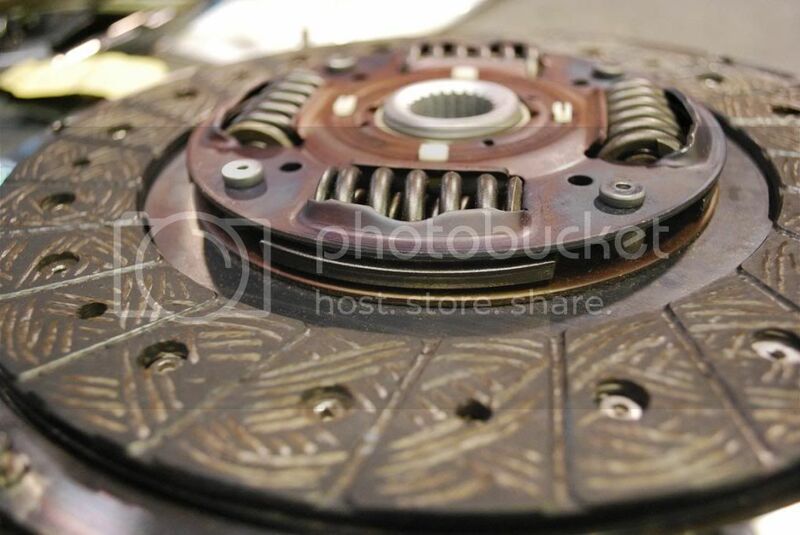 Since the OEM MK6 clutch is organic, it retains a similar feel/engagement. The difference being a firmer pedal feel (a positive thing in my opinion; more feedback) and quiet operation. This is claimed to hold stage 3 power (tested on Stg 3 Golf R). This setup goes for $1050 (with hardware kit). Pros: Reusing OEM DMFW should retain a somewhat OEM feel on engagement (and sound). Assuming the clutch disc and pressure plate are the weakpoints, you've just replaced the problem parts and retain an OEM-like setup. Cons: Price. This is an expensive option for what you get. You can get a full light weight flywheel & clutch kit for a little bit more. Sometimes even cheaper when on sale. The reception has been pretty good. Then of course, you always have the full clutch kits that are offered by both of several companies (Clutchmasters, South Bend, Sachs). There may be one or two more that I cannot recall. Full clutch kits are typically over $1000. I would say the average clutch for a stage 2 or higher vehicle is around $1200. Cons: Typically noisier than an OEM setup. You will hear about gear noise and chatter when discussing clutch options. Some applications may not be so smooth on initial engagement of the clutch. Dual Mass Flywheel: 28.5 lbs. It's worth noting that this has been reported with both Clutchmasters and South Bend kits. Thicker springs should stay in there better. More support around the edges perhaps. South Bend Stage 2 Daily Silent (exedy) - this one was temporarily distributed late last year to replace failed clutches until the revised stage 2 was released. South Bend's Stage 3 disc utilizes an exedy hub as well. If anyone has pics of it, please let me know and I will include it. To be clear, this disc is no longer being sent out. Let's try to keep this thread as useful/technical as possible. Last edited by lilfleck; 11-14-2013 at 02:23 PM. Good post, all those threads offer a lot of information. There is a great complete review of the CM FX400 by Bender on here that's included long term usage. FS: Koolaid Part Out Socal OC! 2011 Tornado Red GTI 6MT "KÖÖLAID"
Mike is the only Clutch Vendor that matters. Even Jesus could not speak truer words. Added Benders review to the thread. I would add Mike's deal to it, but I don't want to get him in trouble (as he did once before). yea we cannot add it directly unfortunately, but im sure you can PM several of us for details to help people out on the smokin deal available outside the domain of this forum. Fresh install...It's a lot quieter now that it has been a while...maybe I'll take another video. All of the SMF clutches are noisy. I have a southbend stage 2 endurance, non-silent, that is pretty loud as well. If you know what to listen for you can always hear it, and it sounds like a diesel engine from the outside. The main thing for me though, is it holds. I can't hear any real difference in the linked videos between the CM fx350 and the stage 2 daily from SB on my iPad.Anyone know if that's the same in the real world? I have the money ready for either the DXD SB stage 2 daily or the CM fx250. I've ready every thread so far but haven't made my decision yet. Holding power appears to 400 and 390 ft lbs between the two so grip should be pretty close so the difference if any I'm thinking may be the sound.